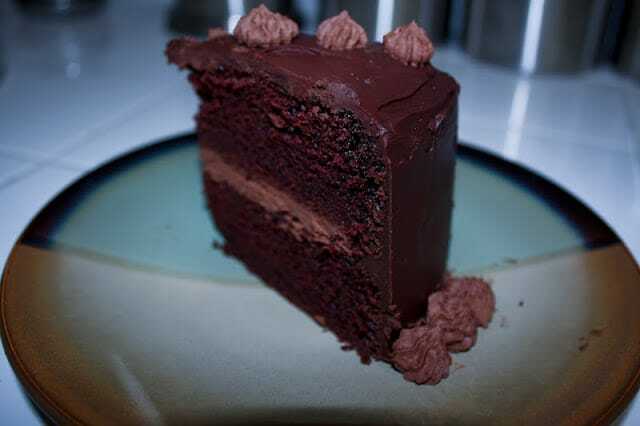 For my husbands birthday last year, I decided to make a double layer chocolate cake with dark chocolate frosting in the middle. I wanted to keep the look of the cake simple and clean so I used the dark chocolate ganache to frost the outside. 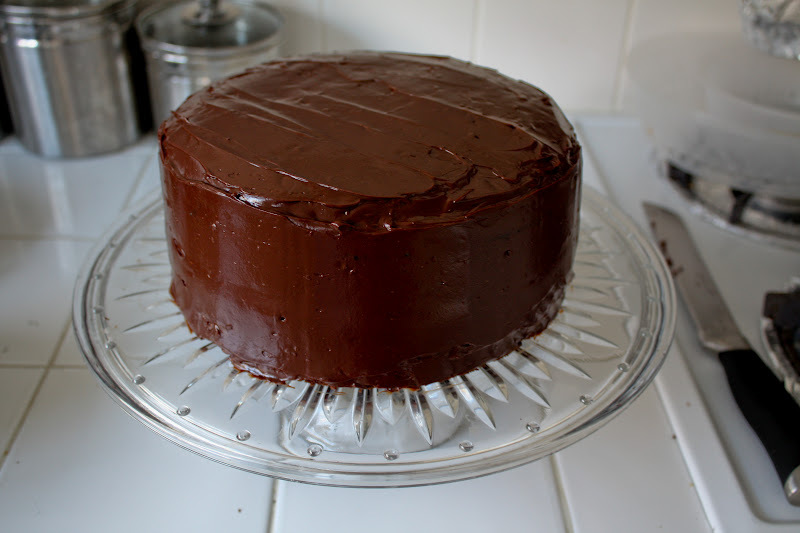 When the ganache solidifies, it creates a clean sleek look on the outside of the cake. 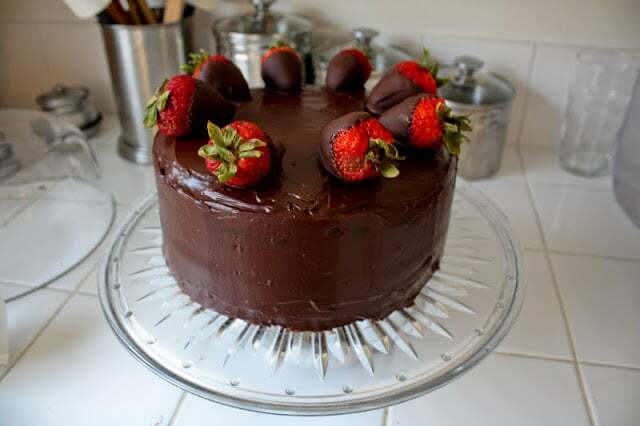 I also made some dark chocolate covered strawberries and added them to the top of the cake! Bake 2 8″ round chocolate cakes according to the recipe above. 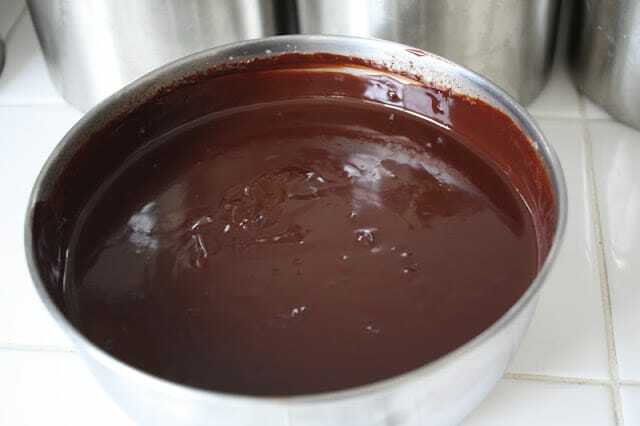 Make dark chocolate ganache according to the recipe above. Reserve enough of the ganache to frost the double layer cake. 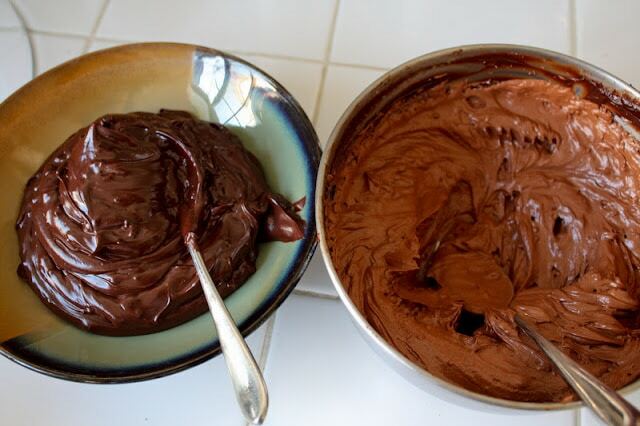 Whip the remainder of the ganache to make frosting according to the recipe above. Place one 8″ round cake right-side up on a clean surface for assembly. Generously frost the top of the bottom layer with the dark chocolate frosting. 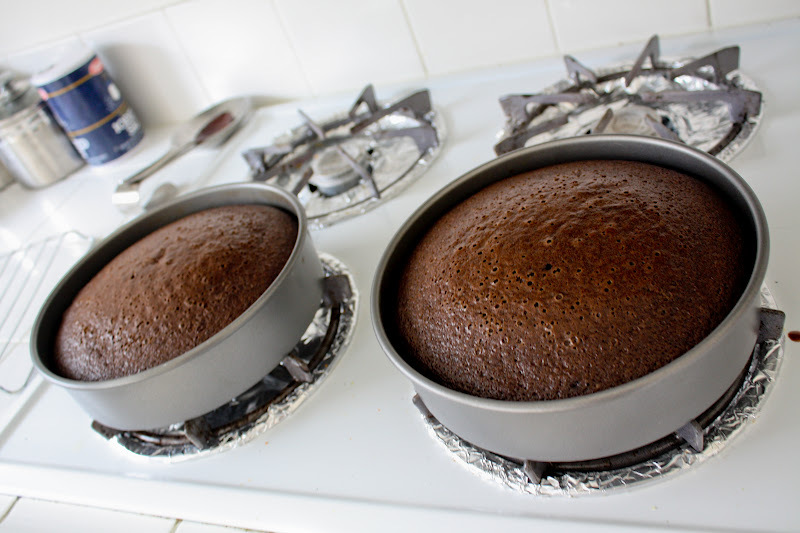 Place the second 8″ round cake upside-down on top of the frosted first layer. When finished, the very top of the cake should be flat. Frost the entire cake with the dark chocolate ganache frosting starting from the top working your way down and around the cake until you form a nice smooth even layer of frosting. Place the frosted double layer cake in the fridge until the dark chocolate ganache solidifies and is ready for decoration. From this point, you can go in any direction to decorate your cake. You can use the remainder of the frosting to pipe decorations on top of the cake, make borders, etc. I chose to keep it simple and make dark chocolate covered strawberries to place on top of the cake.